The best way to use city bikes! The first sign of spring, as our grandparents would tell us, is yellow coltsfoot fl owers coming up out of the ground. But there´s another yellow wave taking over the streets even earlier than that, and blooming well into the autumn – the city bikes. Whim is the best way to use city bikes! Suit or shorts, skirt or jeans, a trip to work, after-work or even to a festival: city bikes have established themselves as an urbanite favourite. Last year in Helsinki and Espoo, we pedaled city bikes a distance that equals 84 times around the globe. This year, starting from the beginning of April, there will be 3,430 city bikes ready to ride at 238 stations. As a Whim plan subscriber, you can use the bikes as soon as they appear on the street scene. 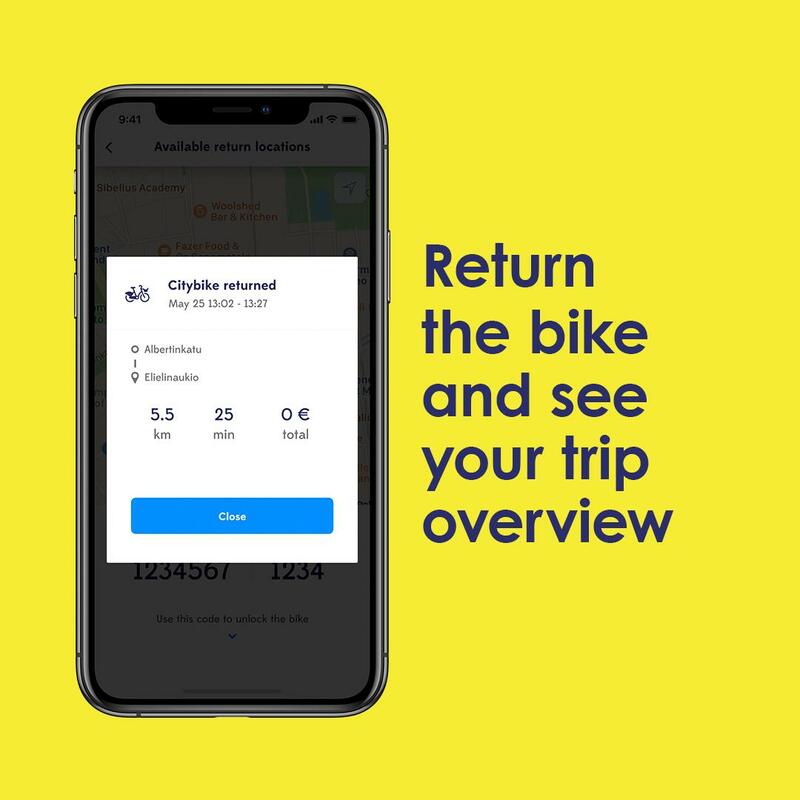 A significant improvement for this year is the expansion of the city bike zone to the northern and eastern districts of Helsinki at the beginning of May. You can hop on a saddle all the way to Vartiokylä – or wherever else you fancy. 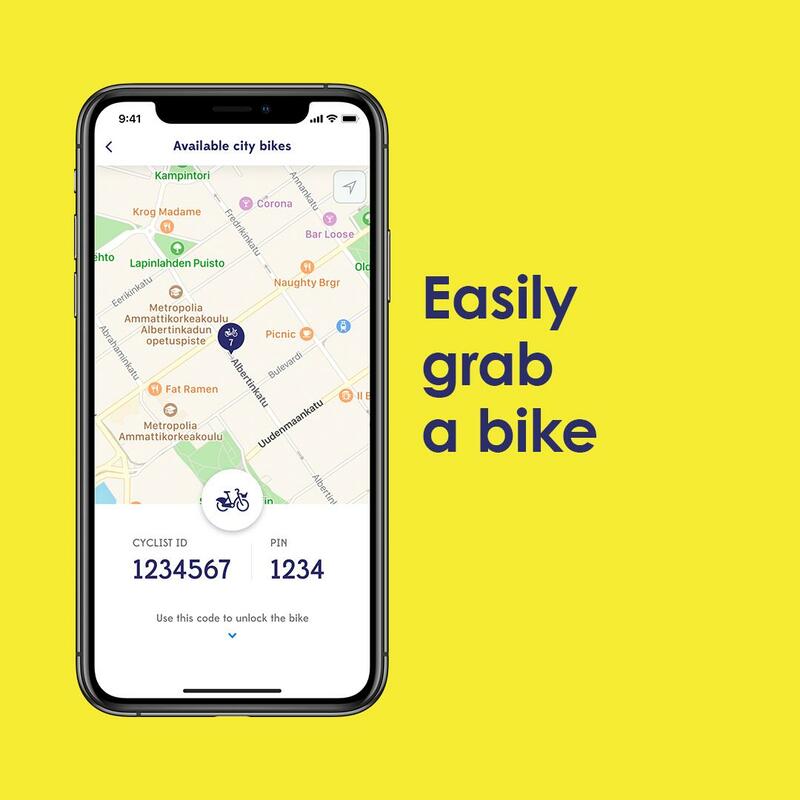 Use Whim to see all the bike stations and free bikes in Helsinki and Espoo. After 30 minutes you´ll pay according to the normal rate (€1/30 min, max five hours for one ride). Most people find that half an hour is long enough to get from A to B in the city. Of course, you can stop during your journey and park anywhere – not just city bike stations. 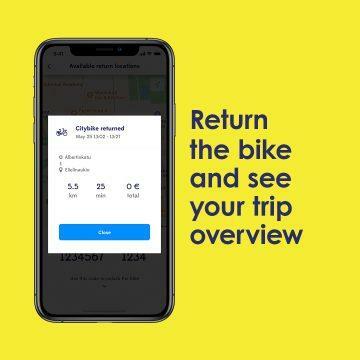 The bike display will show you exactly how to make a stop and how to return the bike. When in a hurry, city bikes are unbeatable in speed against other modes of transportation, thanks in part to constant improvements to the bikes themselves. 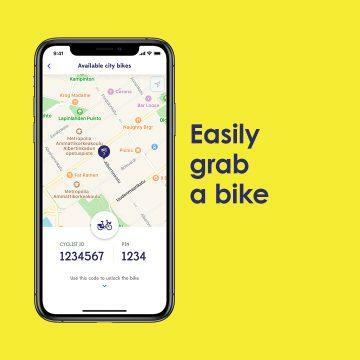 Your bike ride begins when you get a personal identification and PIN code from Whim. Then check the condition of the bike you selected: do the brakes work, is the saddle at the right height. And then just hop on. Sometimes the popularity of the city bikes means you´ll find the racks empty. 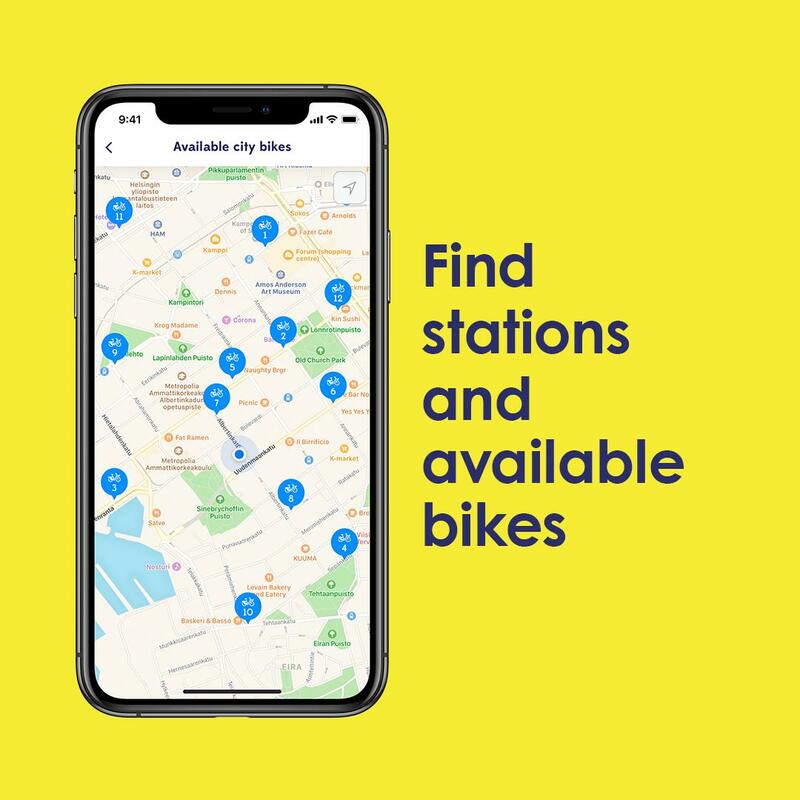 To avoid disappointment, use Whim to check if the availability of bikes in real time and then head to the right station. If the station is full when returning your bike, you can lock the bike with a chain to another bike to a pole or tree up to 20 metres away.